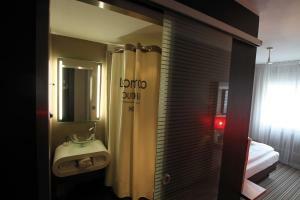 Room features a flat-screen TV with 2 free Sky Sports channels, and a private bathroom with a hairdryer. 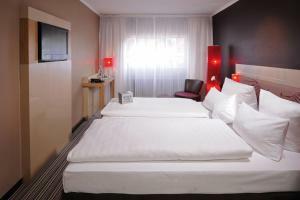 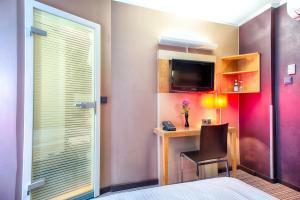 This comfort single room features a flat-screen TV, heating, a work desk and a private bathroom with hairdryer. 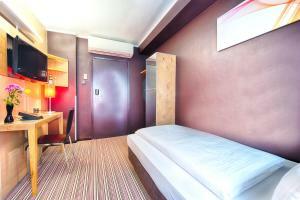 This deluxe double room features a flat-screen TV with 2 free Sky sport channels and a private bathroom with a hairdryer. 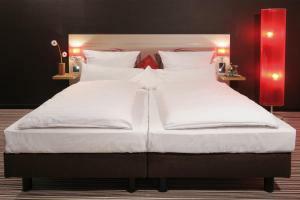 This deluxe triple room features a flat-screen TV with 2 free Sky sport channels and a private bathroom with a hairdryer.